Invisalign is a brand of clear plastic aligners that is an alternative to traditional braces used to straighten teeth, fix bites, and perfect smiles. At Patino Orthodontics your chances of being an excellent candidate for treatment with Invisalign is very high due the skills Dr. Patino has developed over the years. In addition, Dr. Patino is one of the few specialists to utilize the latest technology equipment by using an iTero scanner. Each set of aligners is custom molded to your teeth and gradually shifts them into the correct position prescribed by Dr. Patino. 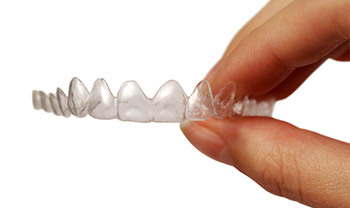 Because the aligners are clear, most people will have no idea you’re aligning your teeth and smile. Every two weeks you move on to a new set of aligners and in no time, you will be able to see results. Remember, no two doctors offering Invisalign treatment will attain the same results, much like two chefs baking a cake using the same ingredients may not get the same cake in the end. Maximize your results, go to Patino Orthodontics! The comfortable, customized aligners are also removable which allows you to eat and brush your teeth without having to worry about cleaning around cumbersome metal braces. It also reduces the effects normal braces may have on your gums and supporting tissue in your mouth. Schedule a free consultation to see if Invisalign is right for you! Have questions about braces or Invisalign? Contact us today to schedule your free orthodontic consultation with Dr. Patino. Patino Orthodontics is conveniently located in the heart of Concord, California and is close to the local BART station for easy access. Our office is also completely handicap accessible. © Copyright 2018 Patino Orthodontics. All rights reserved.